Russian tennis player Maria Sharapova on Friday blamed the International Tennis Federation (ITF) for failing to make her aware of meldonium becoming a banned substance for athletes. MOSCOW (Sputnik) — The five-time grand slam champion tested positive for meldonium at the January 2016 Australian open. Sharapova claimed that she has taken meldonium for health issues since 2006 and didn't know that it was added to the list of banned drugs at the onset of 2016. "Why didn't someone come up to me and have a private conversation, just an official to an athlete, which would have taken care of the confidentiality problem they talked about later," Sharapova told The Times in an interview ahead of its publication on Saturday. 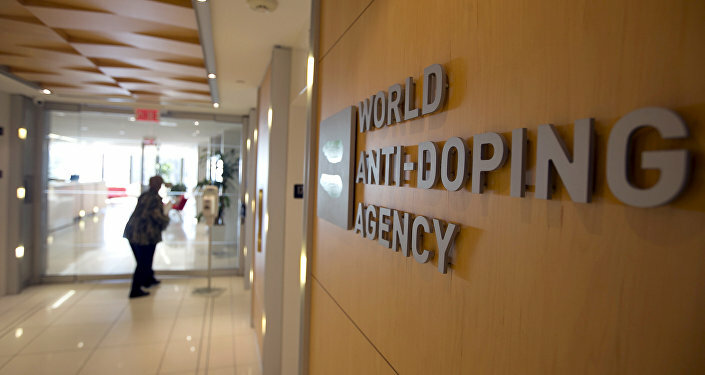 Meldonium was only added to the World Anti-Doping Agency (WADA) list of banned substances on January 1, 2016. The ITF knew about her meldonium prescription back in 2015, when she took part in the Fed Cup tournament, according to Sharapova. The comment comes as the tennis player prepares to return to competing this month. "Ultimately the fault was mine. I had been getting clearance on everything I was taking for seven years and I became complacent," she said. Sharapova's suspension was reduced from two years to 15 months after an appeal at the Court of Arbitration for Sport (CAS) when the tennis player claimed that she has taken meldonium for health issues and did not know that it was added to the list of banned drugs.